A perfect accompanyment to any roast meat! Shown in the picture above with roast leg of lamb (with garlic & rosemary), pan-fried savoy cabbage (with garlic & olive oil), roast potatoes, celeriac purée (with vanilla) and lamb gravy. In a small saucepan, melt a generous amount of lightly salted butter, a drop of olive oil (not extra-virgin), a pinch of demerara sugar and a drizzle of runny honey. Place the topped, tailed & washed carrots into an oven-proof dish, pour over the mixture and place in a pre-heated oven (fan-assisted ca. 200°C) and roast for approx. 1 hour, stirring half-way through cooking. 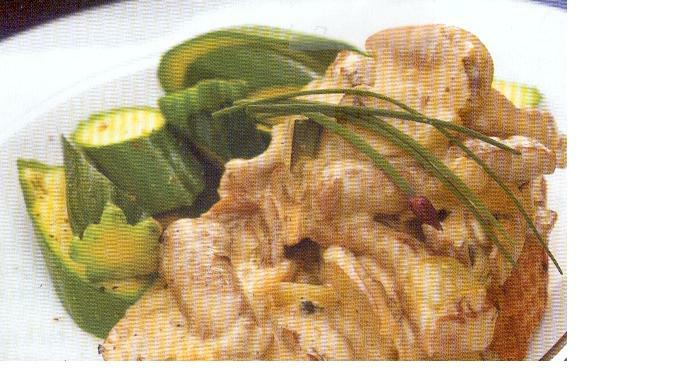 If you like this recipe, sign up HERE to receive regular blog (recipe) updates by e-mail. You will also receive my famous and authentic Tiramisù recipe by e-mail! I made a celeriac purée a long time ago and, inspired by seeing Michelin-starred Chef Raymond Blanc making celeriac purée yesterday on TV, I adapted the recipe by adding some delicious vanilla to it. Once you have peeled and chopped the celeriac, place it in a saucepan and cover it with milk. Turn the heat on low and bring it to a gentle simmer, then let it simmer for approximately 20 minutes, until the celeriac is cooked through. Drain using a colander or sieve, but retain the milk for now. Let the celeriac drain and the steam evaporate for a few minutes, then place the celeriac in a food processor and blitz it until it’s creamy, adding a little of the cooking milk as you go along. You can add a drop of double cream for extra richness, if you’d like. Transfer the celeriac purée into a fresh saucepan on a low heat, stirring to ensure it doesn’t stick and burn, while you heat the butter in a separate pan, on a high heat, until it turns to beurre noisette (essentially ‘hazelnut butter’ – a slightly burnt butter). Stir the vanilla into the celeriac purée, then stir in the beurre noisette. It shouldn’t need any additional seasoning at this point, but add salt to taste if required. Serve with your favourite meat! 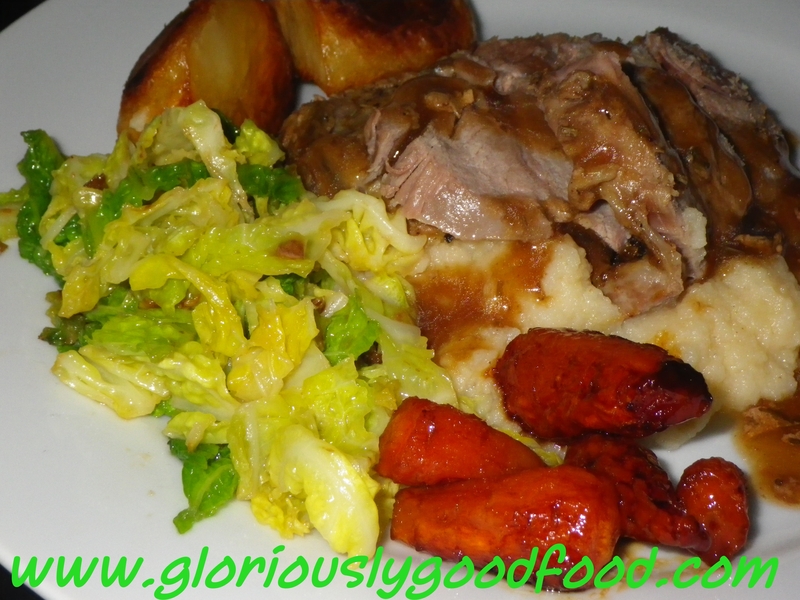 Roast leg of lamb (with rosemary & garlic), garlic & olive oil pan-fried savoy cabbage, roast potatoes, caramelised oven-roasted chantenay carrots and lamb gravy.